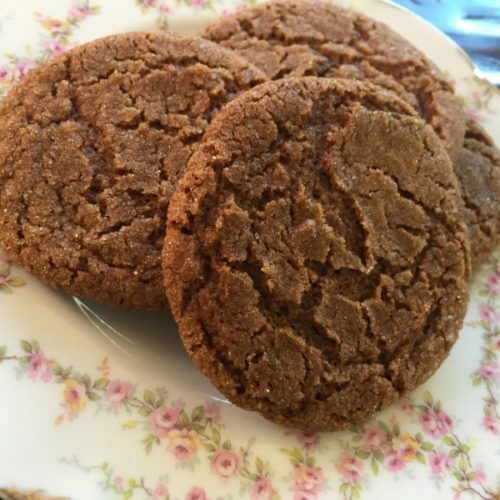 I love ginger cookies – not the dense, tasteless gingerbread men with the too-sweet frosting – I like ginger/spice cookies that are not as sweet and taste great with a hot cup of coffee – dunked of course. 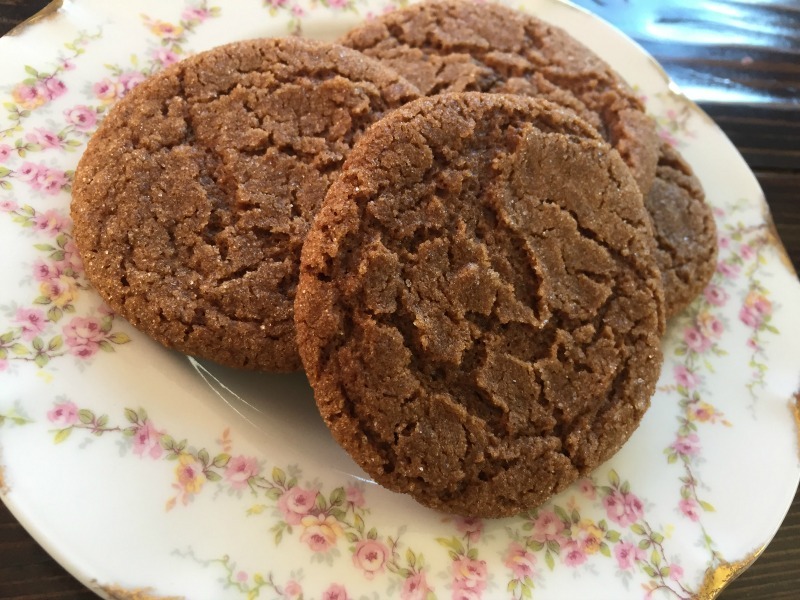 This recipe is pretty tasty and has A LOT of spices in it – hopefully you have this in your cabinet and you aren’t running out the buy a spice just to make these cookies – but remember old spices are not bold spices – so when in doubt throw it out. In large bowl, beat butter and brown sugar with electric mixer on medium speed until light and fluffy, about 5 minutes. Beat in egg and molasses. Stir in remaining ingredients except granulated sugar. Cover; refrigerate at least 2 hours. Heat oven to 350°F. Line cookie sheets with cooking parchment paper or silicone baking mat. In small bowl, place granulated sugar. Shape dough into 1-inch balls; roll in sugar. On cookie sheets, place balls 2 inches apart. Bake 8 to 10 minutes or just until set and soft in center. Cool 2 minutes; remove from cookie sheets to cooling racks. Store tightly covered or in a zip bag up to 1 week.